This article is about the body of laws in France. For the economic policies implemented under French King Louis XV, called the "Law System", see John Law (economist). "French law" redirects here. For the dialect of French used in English courts, see Law French. For the law requiring the use of French in Quebec, see Bill 101. In academic terms, French law can be divided into two main categories: private law (droit privé) and public law (droit public). This differs from the traditional common law concepts in which the main distinction is between criminal law and civil law. Civil law (droit civil [fr]). This branch refers to the field of private law in common law systems. This branch encompasses the fields of inheritance law, civil law, family law, property law, and contract law. The legal system especially underwent changes after the French revolution. The announcement in November 2005 by the European Commission that powers recognised in a recent European Court of Justice (ECJ) ruling underlay its intention to create a dozen or so European Union (EU) criminal offences suggests that one should also now consider EU law ("droit communautaire", sometimes referred to, less accurately, as "droit européen") as a new and distinct area of law in France (akin to the federal laws that apply across states of the US, on top of their own state law), and not simply a group of rules which influence the content of France's civil, criminal, administrative and constitutional law. 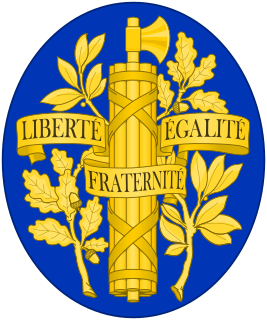 As mentioned, the term civil law in France refers to private law, and should be distinguished from the group of legal systems descended from Roman Law known as civil law, as opposed to common law. The main body of statutes and laws governing civil law and procedure are set out in the Civil Code of France. Other private law statutes are also located in other codes such as the commercial code in the Code of Commerce, or copyright law in the Intellectual Property Code. French criminal law is governed first and foremost by the Code pénal, or penal code, which for example formally prohibits violent offences such as homicide, assault and many pecuniary offences such as theft or money laundering, and provides general sentencing guidelines. However, a number of criminal offenses, e.g., slander and libel, have not been codified but are instead addressed by legislation. Constitution and functioning of the public authorities and the government and, in particular the relationship between the three constitutional powers, executive, legislative and judiciary. Relationship between citizens and public authorities, in particular the participation of French citizens in the exercise of public powers. It fixes the hierarchy of laws and rules within the French legal system and the relationship between these different norms. Constitutional law became independent from political science and administrative law with the Constitution of 1958 which included the institution of a constitutional court, the "Conseil Constitutionnel". In France, most claims against local or national governments are handled by the administrative courts, for which the Conseil d'État (Council of State) is a court of last resort. The main administrative courts are the tribunaux administratifs [fr] and their appeal courts [fr]. The French body of administrative law is called droit administratif. Traditionally, the law of the European Union (EU) has been viewed as a body of rules which are transposed either automatically (in the case of a regulation) or by national legislation (in the case of a directive) into French domestic law, whether in civil, criminal, administrative or constitutional law. However, in November 2005 the Commission SADOS[clarification needed] announced a proposed directive based on a somewhat controversial European Court of Justice (ECJ) decision holding that the EU had the right to require its member states to introduce criminal laws because, in the case at hand, this was necessary in order to implement and uphold EU legislation on combatting pollution. The commission intended to create a dozen or so EU criminal offences, similar to the relationship of federal to state law in the United States of America. Indeed, led by its then-Commissioner for Justice and Home Affairs Franco Frattini - it insisted that the principle created in this decision applied to all policies, not just pollution policy. In May 2006, the Commission formally submitted to the EU Parliament and EU Council (which have co-decision powers) the first draft directive aiming to put this into effect. The draft concerns counterfeiting (for example, of car parts, drugs, or children's toys) and requires each member state to set the following penalties for what it terms "organised counterfeiters": a period of imprisonment of up to four years and a fine of up to €300,000. The EU Parliament began its consideration of the draft directive in March 2007. ^ a b Cornu, Gérard (2014). Vocabulaire Juridique (in French) (10 ed.). Paris: PUF. ^ a b Terré, François (2009). Introduction générale au droit. Précis (in French) (8 ed.). Paris: Dalloz. pp. 91–95. Clavier, Sophie M. (July 1997). "Perspectives on French Criminal Law". San Francisco State University. Archived from the original (DOC) on 2005-10-31. Retrieved 2008-05-07. Cairns, Walter. Introduction to French law (London: Cavendish, 1995) ISBN 1-85941-112-6. Elliott, Catherine. French legal system (Harlow, England: Longman, 2000) ISBN 0-582-32747-4. Starck, Boris. Introduction au droit 5. éd. (Paris: Litec, c2000) ISBN 2-7111-3221-8. Bell, John. Principles of French law (Oxford ; New York: Oxford University Press, 1998) ISBN 0-19-876394-8, ISBN 0-19-876395-6. Dadomo, Christian. The French legal system 2nd ed. (London: Sweet & Maxwell, 1996) ISBN 0-421-53970-4. West, Andrew. The French legal system 2nd ed. (London: Butterworths, 1998) ISBN 0-406-90323-9. David, René. Major legal systems in the world today: an introduction to the comparative study of law 3rd ed. (London: Stevens, 1985) ISBN 0-420-47340-8, ISBN 0-420-47350-5 ; (Birmingham, AL: Gryphon Editions, 1988) ISBN 0-420-47340-8. Brissaud, Jean. A history of French public law (Boston: Little, Brown, and Company, 1915) Series: The Continental legal history series v. 9 ; Note: A translation of pt. II (omitting the first two sections of the introduction) of the author's Manuel d'histoire du droit français. French legal history appears throughout most of the above. Brissaud, Jean. A history of French private law (Boston: Little, Brown, and Company, 1912) Series: The Continental legal history series v. 3. Note: Translation of pt. III (with the addition of one chapter from pt. II) of the author's Manuel d'histoire du droit français. Brissaud, Jean, 1854-1904. Manuel d'histoire du droit français (Paris: Albert Fontemoing, 1908). Castaldo, André. Introduction historique au droit 2. éd. (Paris: Dalloz, c2003) ISBN 2-247-05159-6. Rigaudière, Albert. Introduction historique à l'étude du droit et des institutions (Paris: Economica, 2001) ISBN 2-7178-4328-0. Thireau, Jean-Louis. Introduction historique au droit (Paris: Flammarion, c2001) ISBN 2-08-083014-7. Bart, Jean. Histoire du droit (Paris: Dalloz, c1999) ISBN 2-247-03738-0. Carbasse, Jean-Marie. Introduction historique au droit 2. éd. corr. (Paris: Presses universitaires de France, 1999, c1998) ISBN 2-13-049621-0. The Napoleonic Code (French: Code Napoléon; officially Code civil des Français, referred to as Code civil) is the French civil code established under Napoleon I in 1804. 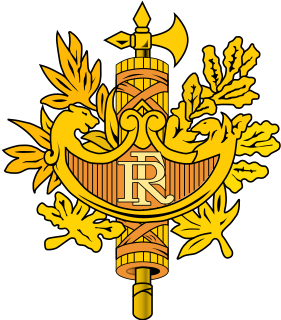 The Journal officiel de la République française is the government gazette of the French Republic. It publishes the major legal official information from the national Government of France. Panthéon-Assas University, also referred to as Assas [asas], Paris II [paʁi dø], or Sorbonne-Assas, is a public university in Paris, France. Joseph Louis Elzéar Ortolan was a French jurist. The French Commission on renewal and ethics in public life, nicknamed Jospin commission, was a think tank established in 2012 by President François Hollande to provide reforms in public life. René David was a French Professor of Law. His work has been published in eight different languages. He was, in the second half of the 20th century, one of the key representatives in the field of comparative law. In France, the cour d’appel of the ordre judiciaire (judiciary) is a juridiction de droit commun du second degré, a. It examines previously-judged litigation, for example from the correctional tribunal or a tribunal de grande instance. When one of the parties is not satisfied with the verdict, it can appeal. While communications from jurisdictions of first instance are termed "judgements", or judgments, a court of appeal renders an arrêt (verdict), which may either uphold or annul the initial judgment. A verdict of the court of appeal may be further appealed en cassation. If the appeal is admissible at the cour de cassation, that court does not re-judge the facts of the matter a third time, but may investigate and verify whether the rules of law were properly applied by the lower courts. The Convent of Our Lady of Calvary, also named Convent of the Filles du Calvaire, is a former Roman Catholic convent in Paris, France.